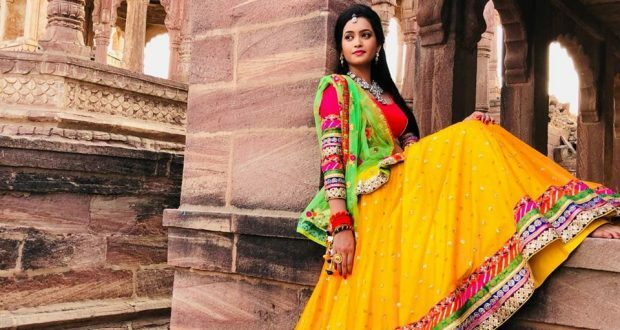 Bhubaneswar:28/7/18: Odia actress Tamanna Vyas, who made her Ollywood debut with ‘Joker’ opposite Papu Pom Pom, has been selected in the Top-10 list of the Miss Diva 2018 in Mumbai. The actress is now undergoing special training to groom herself for the final round of the beauty pageant. Earlier, Tamanna was shortlisted in Top-100 and Top-50 lists of the completion. A total of 147 contestants from various States were selected for the show. Meanwhile, a special online voting has been opened for the beauty contest starting today. The actress has appealed all hers fans and people of Odisha to vote for her. “Shower your love and help me win the most elegant diva contest by the miss diva organization. And keep voting me to help me win more hearts and win more pride for my state,’ said the actress. It may be mentioned here that Tamanna has recently acted in films like ‘Bhaina Kana Kala Se’ and ‘Nijhum Ratira Sathi’,her film BLACK MAIL scheduled to be released in August,2018. She left for Mumbai for Miss Diva-2018 after completing her shoot for upcoming movie ‘Prem Kumar’ featuring actor Anubhav Mohanty.